The radio silence around here the last few months has good cause. Primarily, Olivia had our second child. Very secondarily, most of my hours were poured into a single project. This is rare for me, but the results so far are entirely worth it. Last year I flew out to meet with Byron Moles, the owner and president of Santa Maria Brewing Co, in Santa Maria, California. We shared a vision for what the brewery could become, and I decided to contribute my experience in the beer industry to growing this brand. Here is a taste of what we've been working on. Here we are in Costco. Working with Byron and the team is very rewarding, and I'm excited to see this brand continue to grow. 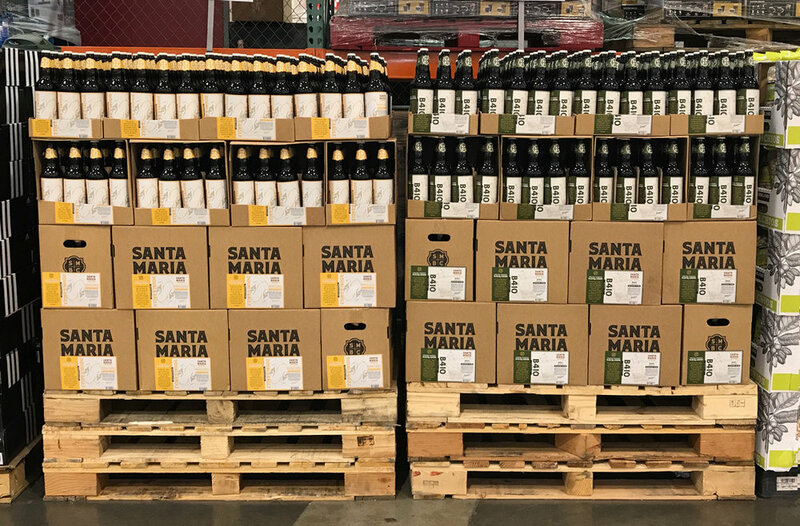 Hopefully cans are on the horizon for 2017, but next up: the Santa Maria website.